The Ordinary Life of an Extraordinary Girl: "Her face looks like mine"
"Her face looks like mine"
In the past, I have had numerous conversations with parents of children with down syndrome. 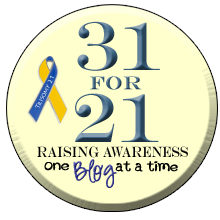 The conversations all revolve around the same topic – do your kids know they have down syndrome, and if so what do they think about it? In our case Alex knows she has down syndrome. We have always talked about it at home with the hope that it became a nonevent. 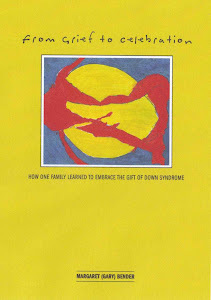 There were a number of books we had in the house when Alex and her siblings were little and this helped put “down syndrome” into our vocabulary. Alex never has a problem sharing her extra chromosome, but I still did not know what that really means to her. As Alex grew older she recognized that down syndrome meant she was different than her peers, and this often manifested itself in temper tantrums due to social isolation. Eventually, Alex learned to share she had down syndrome when kids asked her what was wrong with her and explained it made some things harder for her. It helped the other kids understand Alex a bit better and created a more welcoming environment for her. But still I did not know what that really means to her. Recently, the mom of a young adult asked me if Alex knew she had down syndrome and I confidently stated yes. But this made me think back to my past question, what does down syndrome mean to Alex? Often she says she wishes she does not have down syndrome, but she does not really vocalize why. I know she recognizes when she is not included and attributes that to having down syndrome. But as far as what else this means, I do not know. We do not live in an area with a lot of kids with down syndrome, and this has added to my confusion about what down syndrome means to Alex. She does not have a lot of local peers and has not has the opportunity to talk to other people with down syndrome to share experiences and understand their commonality. However, when we are at Special Olympic events or other events with people with disabilities I notice Alex gravitates towards the folks with down syndrome, and it makes me wonder. This phenomenon of down syndrome recognition was recently brought again to my attention. We were at Copper Mountain watching Tom compete in the snowboard nationals and a family with a young man with down syndrome walked by. I noticed this right away but we were far enough away that Alex did not pick-up on this, and I did not mention it. Later as we walked to get lunch with Tom we passed this family again, and this time we all caught each other’s attention. As we walked by this young man said to his mother, "her face looks like mine”. And it dawned on me, that is what having down syndrome means to people with the extra chromosome. It is a shared commonality that is recognized across the world, no matter your race or ethnicity. Maybe down syndrome is not an excuse for doing things slower or looking different, maybe it is a secret bond. Who knows why or how, but down syndrome does have its own special bond, one which does not includes me or my other kids. It is recognition of shared magic, shared dreams and a deep understanding of each other. Perhaps I am the one who should be perceived differently as I do not have the special bond with complete strangers, Maybe I am the one who does thing differently, not Alex. Love this post! We only relatively recently started discussing DS with Kayli but she has always gravitated/been attracted to people with DS. It is a club for sure :) One I'm glad to be party to. This happens with my brother, too! I have always said that it was similar to essays I read in school about people who are of the same ethnicity gravitating to each other (there's a great one called something like "Why do all the black kids sit together in the cafeteria"). I know that when I'm the only female in the room, I really notice my gender. When I'm with a bunch of women, my gender is no longer an issue. I think this is the same thing. People treat people with DS differently, their experiences are different then ours, but when they get the chance to spend time together, it's no longer their DS that is the most important part of their identity, with like peers, it's their personalities and likes/dislikes that are more important, which is why I think it is SO important that even students in fully inclusive environments get time to spend with just other DS/special needs individuals. thanks for the comment - yes it is an important part of being who we are - we all have to work within our community but take refuge with people who are similar to us! I love this post. I always knew there was a bond between people who have Down Syndrome, Beth recognizes it as well. But I never considered the fact that I was the one who was different. You've given me a lot to think about!